Chili’s: Free dessert + free chips & queso! 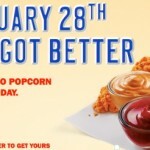 You are here: Home / restaurant deals / Chili’s: Free dessert + free chips & queso! 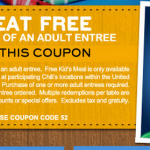 Chili’s is one of our favorite places to eat out and I am loving all of the great coupons they’ve had lately! 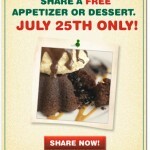 Today (7/13), you can get a free molten chocolate dessert with the coupon here! Purchase of one or more adult entrees is required. Limit 1 per table. Don’t forget about the printable coupon for free chips & queso here. I LOVE their chips & queso!! 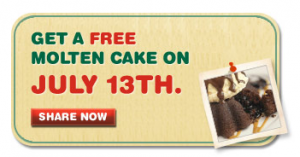 Chili’s: Free appetizer or dessert 7/25 only! 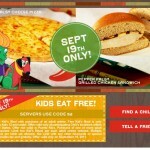 Chili’s: Kids eat free TONIGHT (8/9) + free chips & queso! 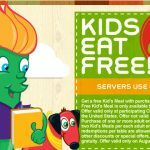 Chili’s: Kids eat free tonight (10/10)! Chili’s: Kids eat free 8/22 and 8/23 + free chips & queso! Chili’s: Kids Eat free + free chips & queso!